SMW Roots Blowers utilize a matched set of non-contacting rotors to sweep gases and vapours from inlet to the discharge. 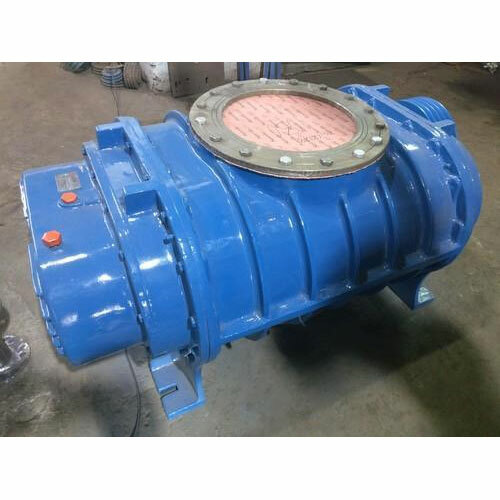 These "Roots" type blowers are suitable either for vaccum or pressure service. Rotors are in the shape of figure Eigert can be Trilobe also which is designed for higher efficiency and lower pulsation and noise "A qudra type lobe is also under development at once work centre" to obtain even better results/output. Our air cooled blower and water cooled blower are high quility products. The same rotary principle is used in our "boosters" though there are differences in construction and clearances. Boosters are designed to be staged in series or with other vacuum producers to reach high capacities and vaccum levels. SMW water cooled series is similar in construction and performance except in the change of cooling arrangement. In water cooled blower the plates have water jackets around them where water is circulated, which dissipates the heat of compression generated and keeps internals cool. 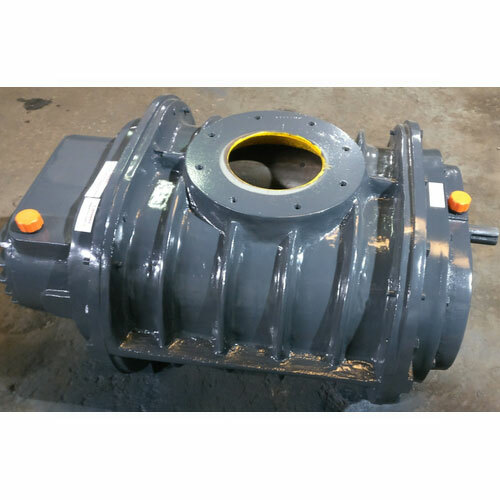 Water cooled blowers are recommended for application where discharge pressure exceeds 6500 mm WG since it is essential to dissipate heat for efficient working and long life of the bearings and oil seals. Our water cooled blower available for both twin and trilobe construction for discharge capacities upto 30000 Nm³/hr and pressure upto 2 kg/cm² through multi-staging. These Gas Blower are custom manufacture are per the requirement of the customer and have been specially designed for pumping of Biogas and other corrosive gases. Special material of construction, lubrication and sealing arrangement make them ideal for such applications. Material & construction and construction details vary to meet different gas requirements. Basic designs are modified, depending upon the nature of gas to be handled. Water jet injection cooling can also be provided to keep the gas temperature low. Available in vertical configurations only for discharge upto 25000 Nm³/m. 100% oil free air delivery. Factory Engineered, factory guaranteed, superior product. Alloy steel hardened and ground timing gears. Rigid one piece CI casing and side plates. Horizontal and vertical configurations available. No vanes, valves or rings to wear. Improved volumetric efficiency and reduced operating temperatures. Alloy steel toughened shafts ground to close tolerances. SMW Vaccum Boosters is used in applications where fast pump down times are required. These are used to enhance the performance, ultimate vacuum and pumping speed of oil sealed/water ring type/dry vacuum type of mechanical pumps. Boosts vacuum performance of existing plant. 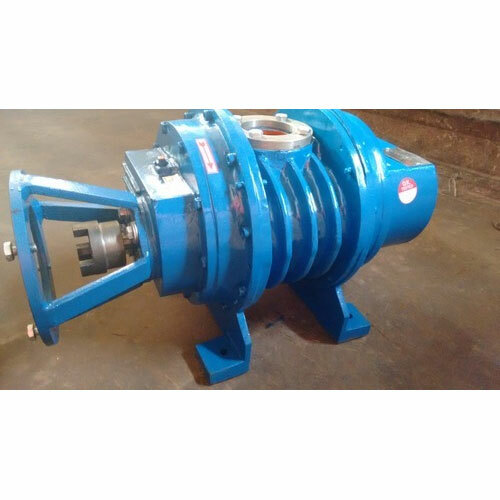 "SMW Roots Blowers / Vaccum Booster can be arranged in parallel or series configuration for desired capacity/pressure outputs".